The night position 1 reduces glare from the headlights of vehicles behind you at night. 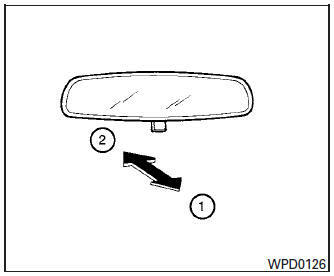 Use the day position 2 when driving in daylight hours. WARNING Use the night position only when necessary, because it reduces rear view clarity.